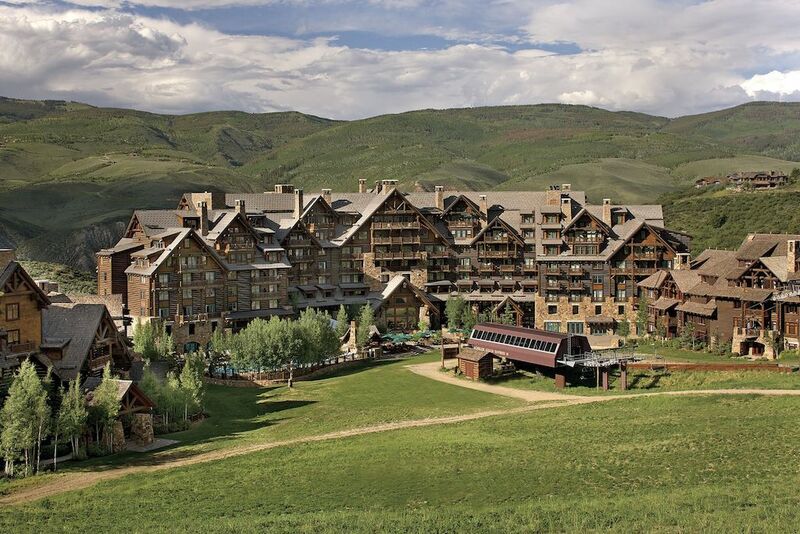 Offering an idyllic ski-in/ski-out setting on Beaver Creek Mountain, The Ritz-Carlton, Bachelor Gulch has a variety of year-round activities including a full-service spa facility and tennis courts during the summer. There's also a heated outdoor pool, six dining options, the Ritz Kids program, and pet-friendly services. In addition, the resort is offering special Solar Eclipse programs for guests. Learn more about the offers in the article below from our sister publication, Luxury Travel Advisor. Beyond the daily guided hike offered as part of the resort’s Naturalist Program, there will also be unique activities arranged for both before and during the celestial event. Guests going on the daily hike will be led to a Rocky Mountain vista ideal for seeing the eclipse. There will be a panel where guests can learn facts about the skies, outer space and the eclipse as well as the local Colorado flora and fauna. The resort will also be providing special viewing glasses to view the eclipse from its Great Lawn and Mountainside Terrace. The Ritz-Carlton Spa at Bachelor Gulch is also joining in on the festivities. Guests 18-years and above can receive a free five-minute chair massage during the the eclipse. In addition, all of the resort’s dining outlets are commemorating the historic natural phenomenon with a one-time-only menu of specialty cocktails. The Total Eclipse is a coconut rum-based drink, shaken with Jägermeister and pineapple juice; the Blue Moon has Grey Goose Oranj mixed with blue curacao and Contreau; meanwhile the Solar Flare is made of a homemade blueberry vodka and simple syrup. These drinks can also be modified into non-alcoholic mocktails for younger guests. Once the eclipse passed, that evening guests are invited on sunset strolls as well as stargazing down paths used for snowshoeing in the winter. An expert resident naturalist will be guiding adventure-seekers as they teach them (most appropriately) about celestial navigation, point out key stars, planets and constellations. During their stay, guests can also enjoy the resort's Red Sky Golf Club, six different restaurants, spa, wellness center and pools. When you think of Vail you think of great skiing. This picture shows just how breath taking mother nature can be and right in the middle of the splendor is The Sebastian Vail. Kessler Canyon is nestled on 27,000 acres of private mountain property. Kessler Canyon’s Guesthouse includes six private rooms, each with original artwork, hand-crafted juniper furniture and amazing mountain and stream views. The Homestead features nine private rooms which can accommodate up to 18 guests, along with a spacious wrap-around porch and outdoor fireplace overlooking the lake and apple orchard. The Four Seasons Resort in Vail, Colorado is featured on the Gold List 2012: Best for leisure facilities. 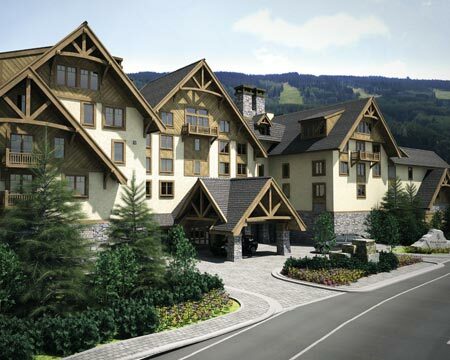 This luxury hotel is situated high in the Colorado Rockies at the gateway to Vail Village, perfectly located within walking distance to shops, restaurants, and most importantly, the slopes! Guests are allocated a ski concierge upon arrival and are served delicious treats including hot chocolate and muffins at the bottom of the runs. 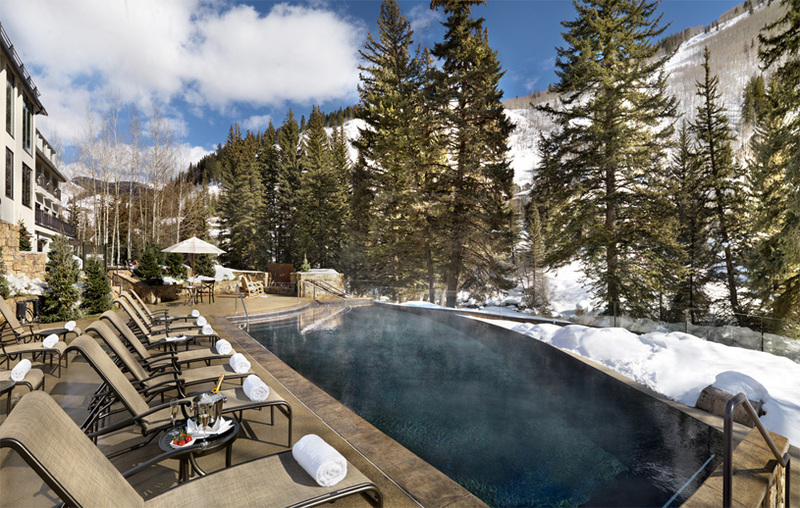 There’s something truly magical to swimming in a heated pool while it snows, and guests get to experience this fantastic contradiction and much more at the stunning Four Seasons Resort Vail! Vail Cascade Resort and Spa gives a whole new meaning to the phrase "cooling off in the pool." We’re pretty excited about ski season, and apparently so are our luxury travelers! A number of hotels are solidly booked for the end of December, but there are still incredible hotels with availability. Be sure to make your arrangements pronto, and you’ll be swishing down the mountain before you know it! The St. Regis Deer Valley in Park City, Utah is located in a private, gated community, and it stands upon the beautifully covered slopes of the Wasatch Mountains. The Snake River Lodge and Spa in Teton Village, Wyoming is located slope-side at Jackson Hole Mountain Resort. The Hyatt Escala Lodge in Park City, Utah is located within the mountainside village of the Canyons, and this all-suite property offers room options for families with easy slope access. The Four Seasons Resort Vail in Vail, Colorado is located high in the Colorado Rockies, and it is consistently ranked among the world’s top ski destinations. The Sky Hotel in Aspen, Colorado offers a unique experience at the base of Aspen Mountain. Last but certainly not least, the Resort at Squaw Creek in Olympic Valley, California, is nestled at the base of Squaw Valley, home of the 1960 Winter Olympics. Looking to go outside the United States and ski new terrain? Then check out our list of the top ski resorts all over the world! Please be advised that rates and availability are subject to change prior to making a reservation.